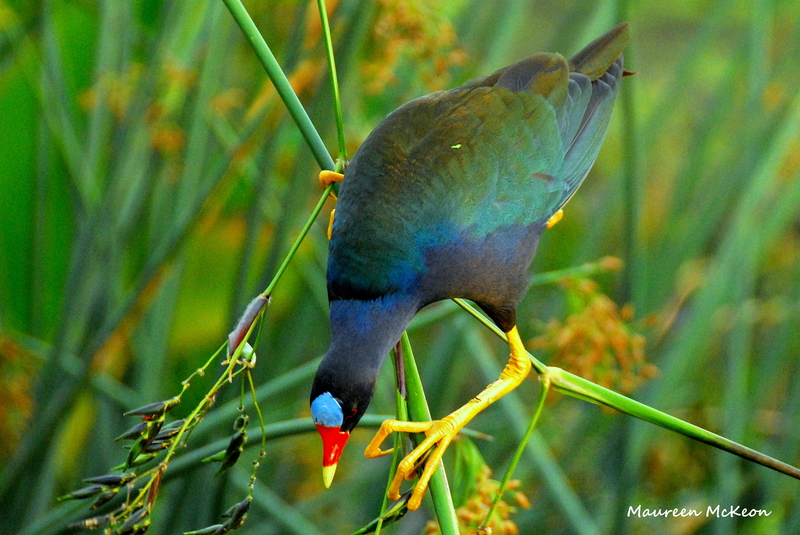 Yes, I know – every bird is my favorite, but this one ranks right up there in my top 3: The Purple Gallinule. Just look at his stunning colors! Iridescent purple, turquoise-blue, and glossy green plumage; pale blue forehead crown; red bill with a yellow tip, red eyes, and big yellow feet. 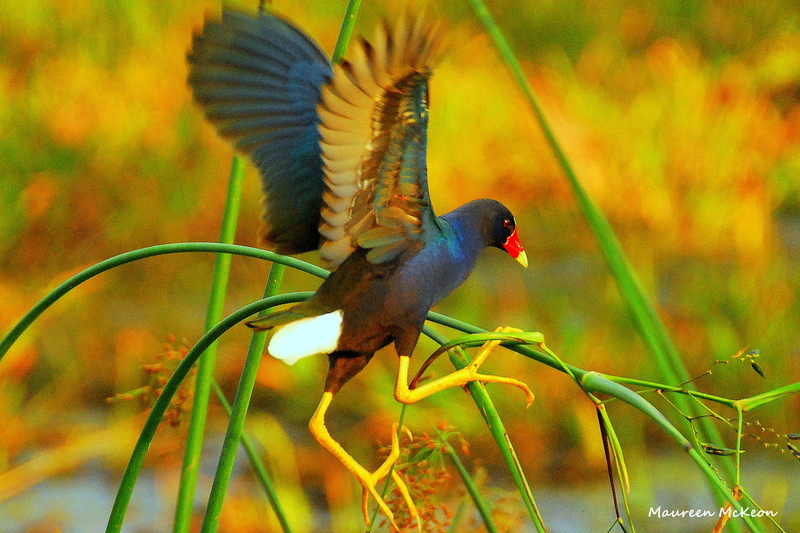 In the Florida wetlands, purple gallinules can often been seen walking on top of floating vegetation in the marshes, foraging for food. But I love watching these guys as they climb out of a shrub and perch on a branch, looking for a small fish or feasting on tasty berries. I’m always amused and somewhat amazed as I watch them inching their way down a rather thin branch or flimsy reed, swaying and swinging in the breeze. 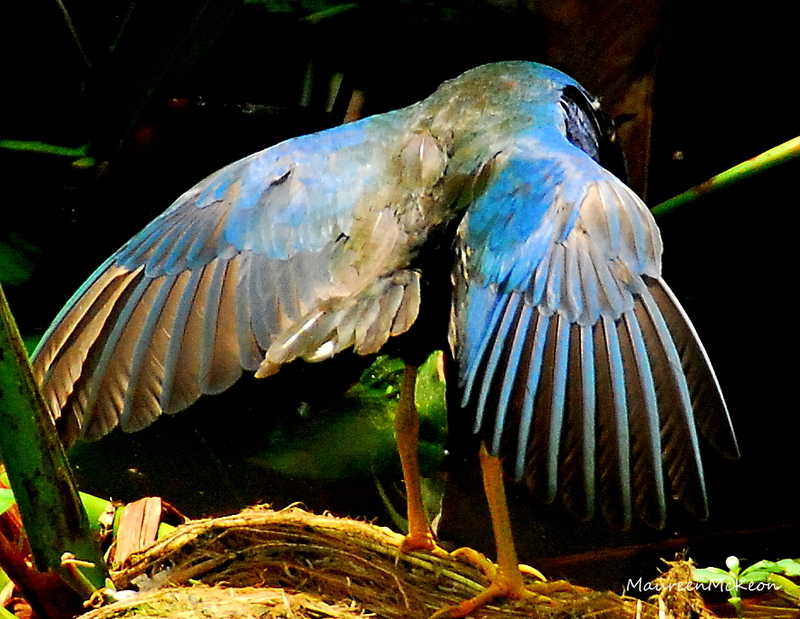 They use their long toes to hang on, often flapping their wings to keep their balance. What do you do to maintain your balance? Work and play. Family and friends. Healthy mind, body and spirit. Does it ever seem that when you get a grip on one, another area cries out for your attention? Work through lunch, and your energy wanes. Spend the entire weekend playing, and the laundry piles up. Focus only on your physical needs and ignore your spirit, and you begin to feel disconnected. This is what I have to do: Get plenty of sleep. Spend more time reading and less time watching TV. Call a friend or send a card. At work, stay focused and do my best. Learn something new every day. Take a walk in nature. Connect with my spiritual community. Get rid of clutter. Find your balance, spread your wings, and let your colors shine! 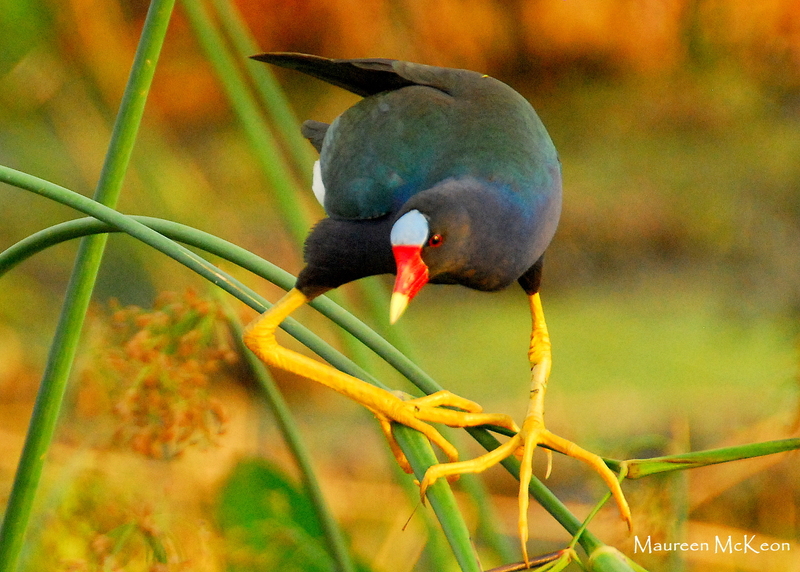 Purple gallinule’s got the right idea. Beautiful shots. I love your content too. Thanks, Jon-Mark, Quite a compliment, coming from an accomplished photographer like you! Thanks, Teresa. 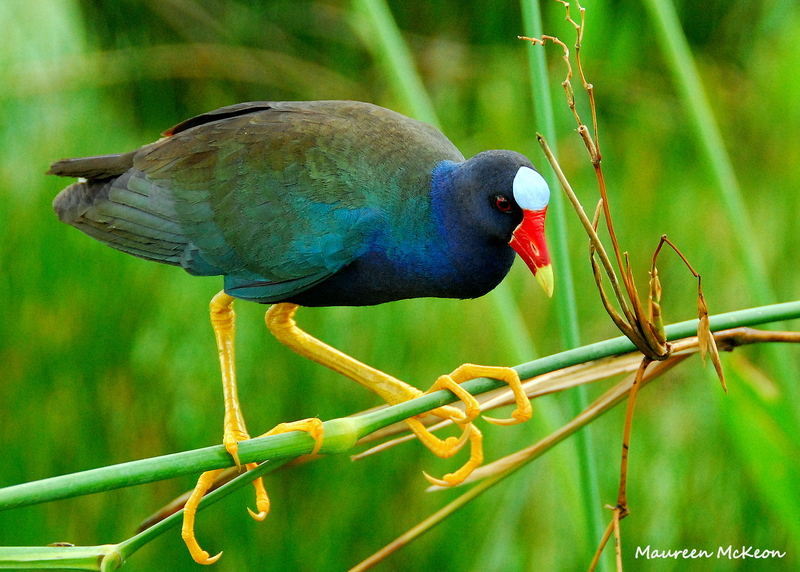 The purple gallinules are lovely, aren’t they?